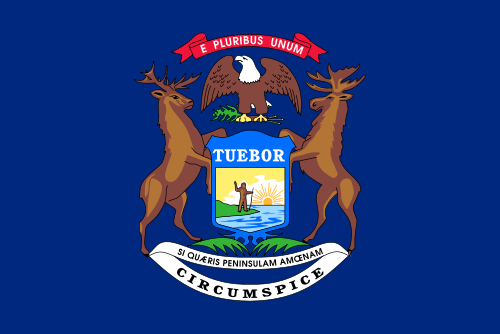 Pray for all the resources and creativity needed to fulfill the intentions of God in the state of Michigan. State Information: Michigan was the 26th state, admitted into the Union in 1837. Called the “Great Lakes State” because its shores touch four of the five Great Lakes, Michigan gets its name from an Ojibwa (Chippewa) Indian word meaning “large lake.” Michigan has an unusual geography, as it consists of two land masses–the Upper Peninsula and the mitten-shaped Lower Peninsula. Detroit, its largest city, is known worldwide as the center of the American auto industry. The apple blossom is the state flower, the robin is the state bird and Lansing is the capital.